For the month of May, Birchbox teamed up with Gossip Girl to create a beauty box inspired by the series and Manhattan’s chicest events! 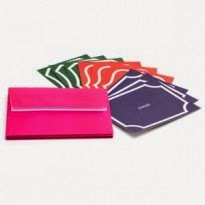 Birchbox Notecards: Made of durable cardstock, these are pretty much the cutest notecards ever. You can use them as thank you notes, invitations, and just-because-you’re-awesome cards. My thoughts: These Birchbox notecards are very chic and pretty darn adorable! They can be used for just about anything. Simple as that! Would I purchase these notecards? Maybe! 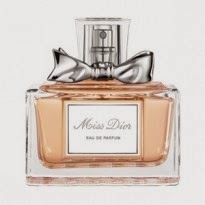 Dior Miss Dior: An audacious chypre floral scent, Miss Dior charms with opening top notes of fresh citrus before blossoming into a bouquet of jasmine, lily-of-the-valley, and rose. It’s anchored with a base of patchouli laced with sultry musk. My thoughts: I did not like this fragrance. The scent is just way too strong for my liking. Look how adorable the bottle is though! Would I purchase this perfume? No. 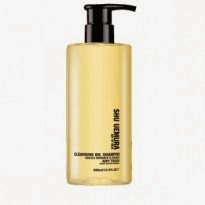 Shu Uemura Art of Hair Cleansing Oil Shampoo: Made with purifying deep-sea volcanic extracts, Shu Uemura’s cleansing oil lathers up into a light foam to transform tired locks into a luscious mane. It gets rid of any and all signs of oily debris while softening hair. Plus, the formula is made without heavy silicones, so it won’t weigh hair down. My thoughts: I love this shampoo. It leaves my hair feeling and looking super clean and soft! This is a great product for my hair type, as my hair is on the dry, frizzy side. Would I purchase this cleansing oil shampoo? Yes! Miracle Skin Transformer Body SPF 20: Let’s start with the moisturizing part: organic narcissus, jojoba oil, soy amino, and hyaluronic acids keep skin hydrated all day long, while marine extracts add firmness and suppleness. Next, a trio of sunscreens—oxybenzone, octinoxate, and octisalate—protect against damaging UV rays, maintaining skin’s youthfulness. Finally, skin-enhancing silicone smooths over any surface discoloration. Approved by dermatologists, the formula doesn’t contain any mineral oils, talc, or artificial dyes and fragrances. skin looking flawless. Would I purchase this miracle skin transformer? Yes! 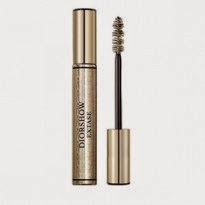 Dior Diorshow Extase: Tiny spherical black pearl pigments define and add thickness, while metamorphosis powders plump up each individual lash. A unique SR38 ceramide complex conditions your lashes, repairing damage and helping them grow more lush than ever before. My thoughts: Fantastic mascara! This mascara gives my lashes volume and length, which I do not find in many mascaras. It simply leaves my lashes looking amazing! Would I purchase this Dior mascara? Yes! To learn more about Birchbox, click here. Thanks for the comment on my blog :). The items in this birchbox seem so great! Those notecards are adorable and I'd love to try the Shu Uemura shampoo and the Body SPF 20 by Miracle Skin Transformer looks so good too! Definitely jealous of this box. I love Miss Dior, it's my favourite scent actually! And DiorShow Extase does little for my eyelashes, funny how products work differently on different people. I love this Birchbox! And the Dior mascara... I have a question that isn't realted to this post however... Where did you get your theme? I absolutely love the design! Thank you! :) I'm glad I could help you! I look forward to reading your Birchbox reviews, if you decide to do them! The Dior fragrance looks really sweet and lovely, pity it doesn't suit your tastes though! Thanks for the review! Wow, this looks like a great box! I actually love the Dior perfume (especially the packaging!). And I've never tried that mascara, but it looks lovely! As cute as the bottle is, I wish I liked the perfume. hey there!!! thanks for checkin out my blog, so happy you found me! i wear that dior perfume alot and youre right! it smells different on different people! i find that only one squirt can do the trick as it can be VERY overpowering!!! 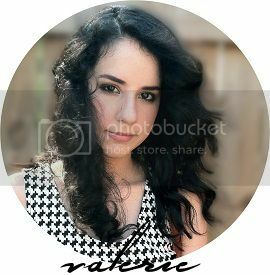 Hey nice blog! I nominated your for One Lovely Blog Award! Visit my blog to read about it and follow it!